The third generation of Tiger 1200 has matured into a serious contender in the adventure market with an impressive spec list and beautifully refined ride. It won’t beat the GS in terms of overall sales, but could certainly tempt a few undecided buyers away from BMW dealerships. Good work Triumph. 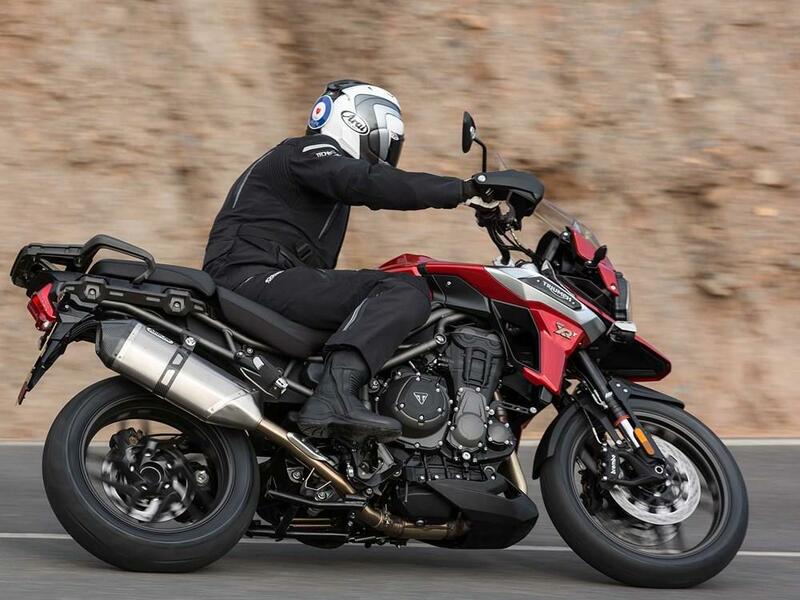 At slow speed you are aware that the Tiger is taller and heavier than its rivals by about 20kg (Triumph won’t admit a wet weight), but the updated riding position helps mask this by moving the bars closer to your body, putting you more in control. However once on the go the semi-active suspension delivers such a lovely plush ride you quickly forget the extra weight and it feels just as agile as its rivals while the Metzeler Tourance Next E tyres deliver bags of grip and the up and down quickshifter is faultless. The overall level of finish appears good on the Tiger, but previous generations have suffered a bit when it comes to retaining their looks. Reliability has never been called into doubt, but visually they can look tatty if used and not cared for. Service intervals are pleasingly high with the major one due every 20,000-miles. 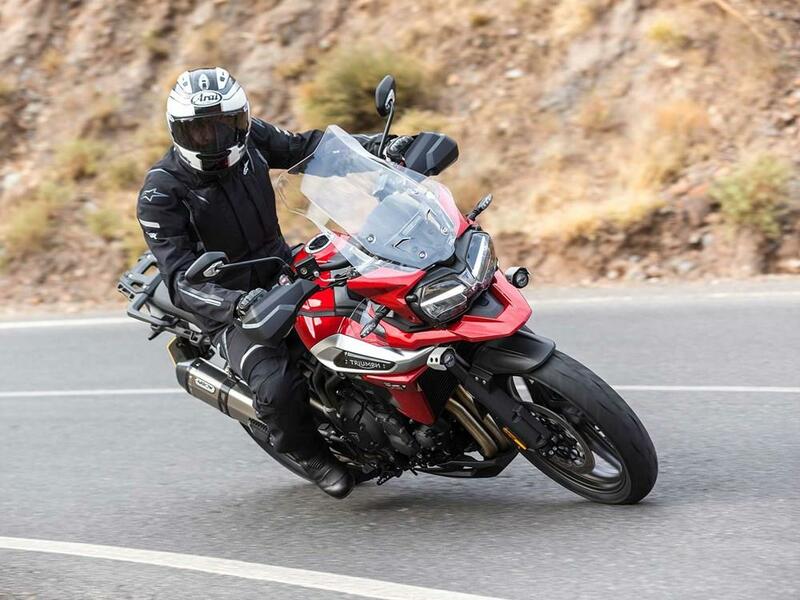 With a price tag of £16,150 (£525 more than the GS TE) the XRT is the most expensive adventure bike currently on the market, but the Triumph does boast features its competition lacks. If you want to save a few quid, lower spec options are available with the XR costing £12,200 and the XRX £14,150. The XR comes in three formats – base, X and T – with the spec increasing alongside the price tag. The top of the range T version is absolutely loaded with kit and comes as standard with cornering ABS and TC, a TFT dash, 5 power modes, heated grips and seat, semi-active suspension, cruise control, adaptive cornering lights, hill start assist, and up and down quickshifter and more besides. The base model lacks angle sensitivity in its ABS and TC and has conventional suspension (the X has the same spec chassis as the T) and fewer power modes, but it is still an impressive spec list. Rear suspension WP monoshock, semi-active damping with automatic preload adjustment (standard XR non-semi-active). Triumph Tiger 1200 XR – price £12,200 and Triumph Tiger 1200 XRX – price £14,150. 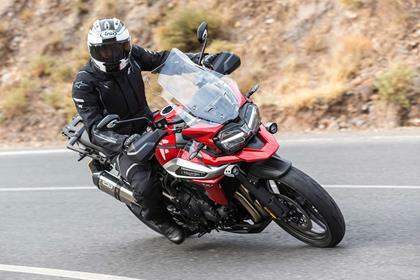 No owners have yet reviewed the TRIUMPH TIGER 1200 XR (2018-on).